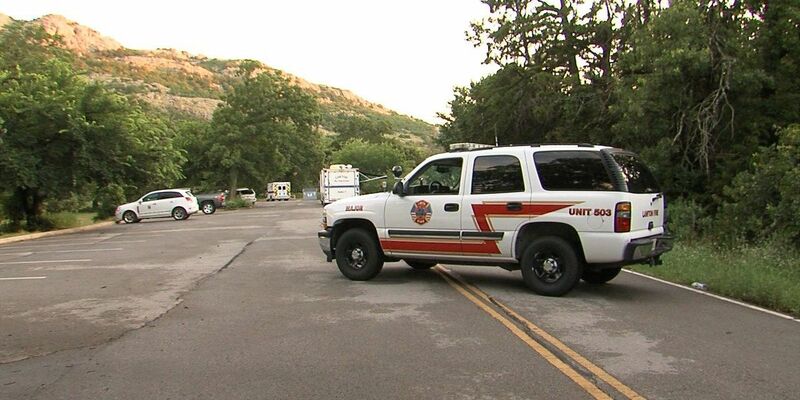 LAWTON, OK (KSWO) - Local officials responded Saturday night to rescue a man who fell and was stuck in the Wichita Mountains Wildlife Refuge. The Lawton Police Department, Medicine Park Police Department, Lawton Fire Department and the Comanche County Sheriff's Department are all worked together to rescue the man. Reports came in Saturday afternoon of a man who was hiking, fell in between rocks and was unable to free himself. Authorities had been searching for the man since at least 3:00 p.m. Saturday afternoon before finally finding him around 7:30 tonight. Officials said they got right to work trying to free him but because of where he was stuck they struggled to reach him. Officials do not believe the man suffered any major injuries.